Like it or not, the Guns N’ Roses most people picture when someone mentions the band’s name is no more. Those long-haired stung out days of glory have long passed, leaving a group of random musicians filling in roles while fronted by an Axl Rose that looks nothing like that man who took us to “Paradise City.” Chinese Democracy let most of the world down so much many assumed the group would never recover, but this morning a potentially new song is making the rounds online that gives hope G N’ R may soon be releasing new music. Titled “Going Down,” a mysterious recording from Guns N’ Roses popped up online over the weekend. Axl does not take the lead on vocals on the track, instead letting Tommy Stinson handle them, but you can clearly hear his signature croon hard at work in the background. No one seems to know where the song came from, or whether or not it’s off an upcoming release, but it has caused a bit of widespread fandom nonetheless. You can stream the song below. Must say I’m quite impressed. More subdued than C.D., and as the article states, not at all a bad thing. I think that’s the first time I’ve heard Axl as a backup. Well done! Chinese Democracy didn’t have ‘miserable response’ or ‘let most of the world down’. It got mostly positive reviews (including 4/5 from allmusic and rolling stone) outside of some trolishly negative reviews, and it sold platinum. It’s a good to great album that people only hate if they’re stuck in the past and can’t get over the fact that it’s not Use Your Illusion III. The problem is that it’s not Guns n Roses. If Axl had released it as a solo album, that would’ve been fine. But he didn’t. It sold platinum. Lol. It shipped platinum and a lot of them were returned and sold off for 99 cents in the delete bin. Yeah, great album. It’s not an Axl Solo record. It was a Guns N’ Roses record. 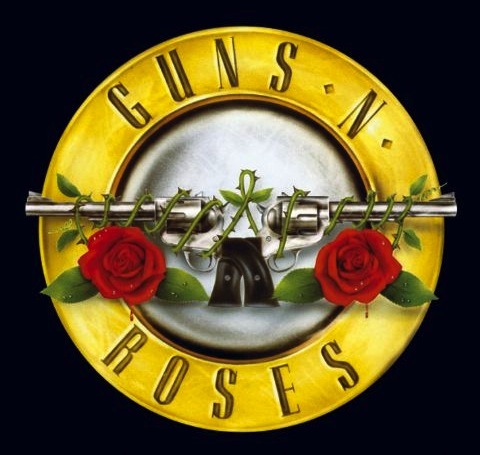 The guys on the album (for the most part) toured and recorded as Guns N’ Roses. Some guys had been in the band for over a decade when CD was released. Just because Slash, Izzy, Duff and Sorum left the band doesn’t mean it’s not GNR. They were replaced with new members. Platinum is pretty good, but for a Guns N’ Roses album, it did not meet sale expectations. Part of the reason why is this is an album that was only available at Best Buy in the US, and had almost zero promotion behind it. Retail exclusive albums always under perform. Yes, it does mean it’s not Gn’R, Think about what you’re saying, lol. When a band is down to just it’s original lead singer and everyone else is gone, that is not the same band anymore. Axl can call it anything he wants, but it’s not Gn’R anymore, that died when he he fired/pissed everyone off. The fact that you’re basically comparing them to Slash and Duff and everyone is ludicrous in any circle. Church it up however you want man, whatever Axl thought has thought he’s been doing for the least two decades or so, it’s not Gn’R. It’s Axl and friends singing Gn’R songs. Dizzy Reed is an a$$hole and barley counts as an original member. Poor guy didn’t have anywhere else to go. end of the line is, Axl Rose has the legal rights to the Guns N’ Roses name. If he chooses to promote this band as GN’R, whether people think it ‘is really them’ or not, it’s GNR. End of the line, lol. Then you are buying the bull$hit he sells you. You are one of the few people who likes the taste of $hit. You can polish a terd all day long, but at the end of the day it’s till a turd no matter what you call it.